1. The next rotary release from LF Models will probably be the Gyrodyne RON-1 Rotorcycle. 2. The AMT/Ertl 1:48 Bell 222 Airwolf will be re-issued sometime this year, as #31773. 3. Cobra Company are working on a 1:32 UH-1N conversion set, presumably for the Revell UH-1D/H. 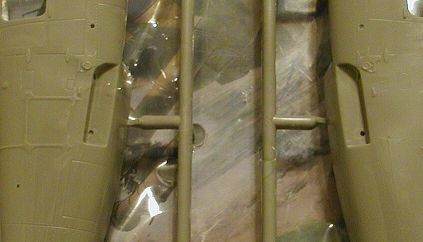 A re-issue of their excellent 1:32 HH-43 Huskie detail set for the Hawk/Italeri/Testors kit is also planned, this in somewhat revised form to eliminate the photo-etched fret. Appropriate fire-suppression kits are also under consideration. Also in the works is a re-issue of the 1:48 S-58T (PT-6 twin turbine) nose that was originally released in 1990. At that time it was a multi-piece set comprising nose, exhausts, grille for underneath, and a couple of other small pieces. Lastly, their 1:35 MH-60L conversion for the Academy Blackhawk is now available, #35-004. 4. Next from Model Art Decals will be a 1:72 sheet for the Royal Navy HC.4 Commando ('Junglie'). This will be ready for sale in July, and will cover at least three schemes including IFOR, SFOR, and a 50th Anniversary special (846NAS in 1993?). Also on the sheet will be P-47T Thunderbolts and Grumman Geese, presumably French. "The "Walk Around" on the AH-1 Cobra is another professional offering from well-known aviation historian Wayne Mutza. In a series that has been frustratingly uneven in quality, the Cobra book sets standards other Squadron authors should strive to approach. The 96 color and 112 black-and-white photos that are the basis of the book are generally of high quality, with none of the muddy shots that are becoming all too common in this field. The detail pictures are especially good, which should be no surprise when one realizes that a large number were taken specifically for this volume. Line art, which in Squadron use frequently does nothing more than repeat what's in the photos, has been kept to a minimum. Captioning is solid, providing both description and purpose, and serves as a meaningful accompaniment to the illustrations. Don Greer's covers are up to his usual standards, while Rich Dann's close work with the author tells in the high-quality color profiles. In all, whether one is an enthusiast or a modeller, Wayne Mutza's latest will prove to be a welcome addition to any library of aviation references." 6. With the three Trumpeter 1:48 Dauphin/Dolphin/Z-9G kits now widely available, (except in the UK ? ), opinion appears to be largely favourable, though it appears the discerning modeler will have some extra work to do. "The US and Icelandic versions.are identical boxings, the difference is only the decals, the noses are the same. The winches have three halves that can be combined one way or the other for different configurations. They look pretty much the same anyway. There are two different winch mounts in each kit. Overall shape is good, but windows are a bit thick. The rotor head has very basic detail and blades are straight and without any detail to speak of. Landing gear and wheels are very basic but not bad, they have tie down rings molded on the main gear legs. The armed Z-9G is the same again but has the Chinese version of TOW missiles in it. The kit itself comes on three large sprues, the clear one being much bigger than one would normally find on a fixed wing aircraft of this size. Detailing is fairly good, though I found some areas where the engraved panel lines sort of disappeared and then came back again. There are also ejector pin marks all over the place. While none are particularly difficult to remove, they are there and will have to be filled. The most visible will be those on the inside of the gear doors and the underside of the blades. The blades themselves are not very convincing, being rather flat with no airfoil shape. The leading and trailing edges are actually square cornered so some shaping will have to be done with them. There is also a teeny bit of flash on a part or two and there are some sink areas on some of the thicker parts. The instruction sheet is fairly good and appears to give colors in Gunze codes. The construction sequence is well thought out as well. Helo fans will be pleased to know that the kit includes both a cyclic and collective as well as separate rudder pedals for the cockpit. In fact, the cockpit and cabin look fairly well appointed. You get two rows of seats for the cabin area, but I'm not sure that a USCG version would have more than one set of seats, and probably only the aft set. The instrument panel and center console are devoid of detail, with a decal for the instrument panel only. There is no mention of nose weight, but I'd think some would be needed to prevent tail sitting. Finding a spot for it will be a challenge. 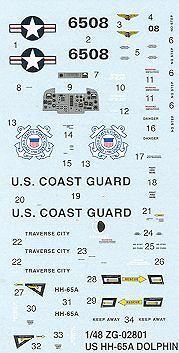 The USCG decals are just for just the box art aircraft, which is from Traverse City, Michigan. It is in the standard scheme for USCG HH-65s and is given in the color chart as Gunze Red Madder and Gunze White. The decals are quite well printed and very crisply done. I don't know how well they work as I've never built a Trumpeter kit, but the sheet is rather complete as you can see." "Right off the bat, my first big gripe is the interior; Trumpeter have only supplied parts for a business-type 6-passenger layout. I know this is wrong for the HH-65, questionable for the Icelandic CG version, and probably in error for the gunship version as well. Looks like another job for Cobra Company. Another big gripe has to be the compromise on the engine exhaust area. The kit is moulded with simple dished areas, and the jet-pipes are applied directly on the surface. The kidney-shape cross-section pipes for the non-HH-65 versions will look the best out-of-the-box, but for the Coast Guard fans, it's hard truck. Cobra Company could certainly save the day with a replacement plug for the HH-65 kit. The main gear bays have also taken some short-cuts, but they will look fine on any bird with the fixed fairing (i.e. 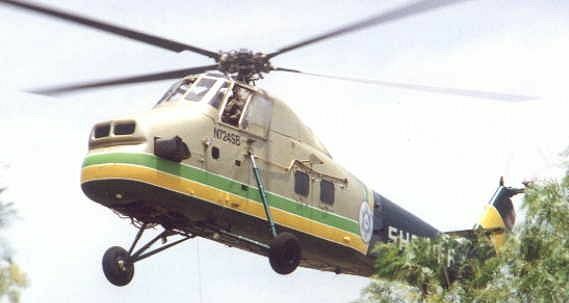 later HH-65's). For someone wanting to do a correct early bird with the two-piece gear doors, it's going to be a lot of extra work. In the middle of the road is the construction of the rotorhead. Trumpeter have done a much better job of it than the 1/72nd Matchbox/Revell kit, but it will still be a bit chunky. A photo-etched set would be a great way to improve the looks of things here. All in all, this kit IS a winner, and I do consider it an instant classic. There is a world of opportunity here for the aftermarket, and I think we will see lots more of this model in the future." 7. Airwaves have put all work on their planned Lynx AH.7 and AH.9 conversions on hold because they believe that Airfix may be going to re-issue their Army Lynx in revised form, much as they did with their Navy Lynx HMA.8 / Super Lynx. 8. Hasegawa's 1:48 Apache will appear in a third variant, this time as a limited edition Westland WAH-64D, #09431, scheduled for July. 9. Also from the Hasegawa stable, presumably, will be a transparent 1:72 AH-64D Longbow under the Aero Dancing label, due in June. Previous items in the Aero Dancing series have been re-boxes of Hasegawa kits with markings from the Sega Dreamcast video game 'Aero Dancing F'. This is the first transparent kit in the range, though there's a transparent Tomcat and a transparent Harrier due at the same time. 10. Mach 2's 1:72 HH-43 Huskie is due in the shops next week. 11. 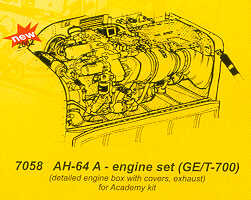 Czech Master's etched brass & resin AH-64A Apache engine detail set for the 1:72 Academy kit is now available, #7058. An interior detail set for the same kit is thought to be imminent, #7059. 12. 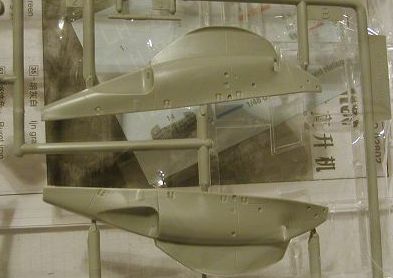 Eduard will release a sets of canopy masks for the 1:72 Hasegawa SH-60J Sea Hawk, #XS172, and the Revell 1:72 EC135, #XS184. 13. News from Sanger Engineering is that that their 1:72 vacform Mil Mi-6 sold very well, and contrary to my previous supposition, the 1:72 vacform Mil Mi-26 and Mi-10 kits are in fact alive and kicking, with release scheduled for June or July. Thanks to Joe Francesco (Joes's Models), Martin Elcox, Chris Miller (Cobra Company), Scott Van Aken (Modeling Madness), Jean-Pierre Desprez (Model Art), Andrew Deely (Airwaves), Ian Linton (STF Models), Tony Morgan, and Lennart Lundh.